They also have an impressive series of community events that happen at the library on a regular basis. For example, there will be a children's story time at the Edison Library this evening from 6 - 6:45 p.m. There will also be a free computer class this Saturday from 10:30 a.m. until noon. This class will focus on using the computer to find a job as well as how to use Microsoft Excel and Powerpoint. Speaking of computers, the Edison Library is also an excellent place for those without a computer to log-on to the internet. 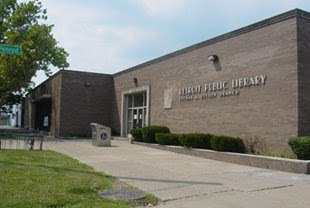 All of these things make the Edison Branch of the Detroit Public Library the Cool Warrendale Thing of the Week.